Skateboard hardware, especially the skateboard deck, is continually exposed to an enormous amount of load and stress. That’s why there’s no question that time is being invested into researching innovative technologies to improve the durability of such boards. 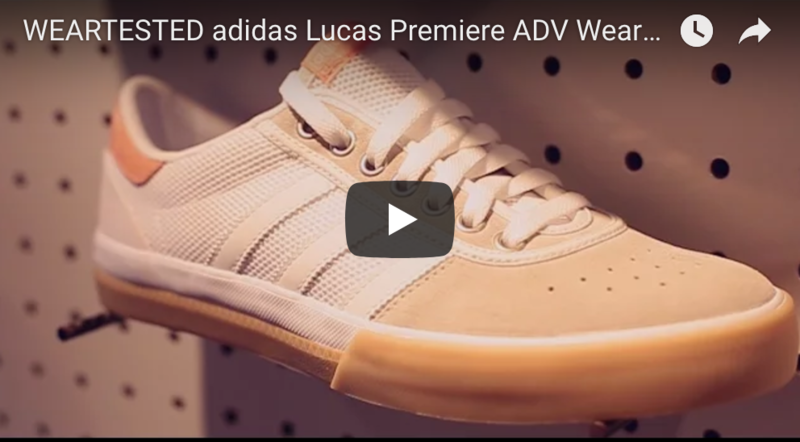 On the other hand, Skateboarders often decide that the marketed newest space-age technology in boards isn´t their cup of tea, so 7 plys of North American Maple are still their predominant weapon of choice. Most innovations such as new adhesives, various materials and inserts usually vanish sooner or later. 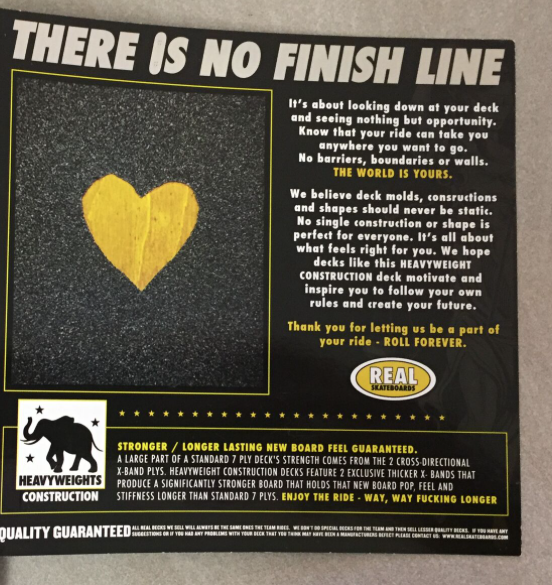 With that said, Deluxe decided to see how people reacted if they simply try out new production and shapes, which lead to the development of Real Skateboards “Heavyweights” construction. We wanted to try something new for once and gave that technology a go to see if those extra dollars actually pay off. The Heavyweights technology is a standard 7 ply deck which promises an improved strength through two cross-directional X-Band plys. 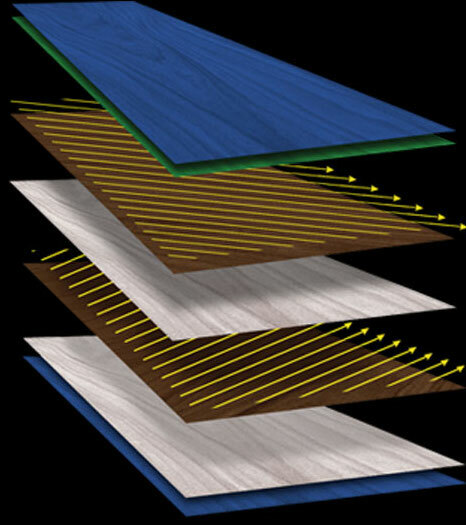 Cross-directional layers can improve the stiffness of a composite like a skateboard deck because the stresses are distributed and compensated. The two plys are also thicker to support the strength. In summary, the decks offer more stiffness and strength. Overall, the improved stiffness of the deck from the start is very noticeable. When you stand on the mounted deck it is clear that it flexes much less than a regular deck. The rigidity of the deck also significantly improves the pop of the deck, with one characteristic quite noticeable: the sound of the pop. It is not dull, but very clear and loud. 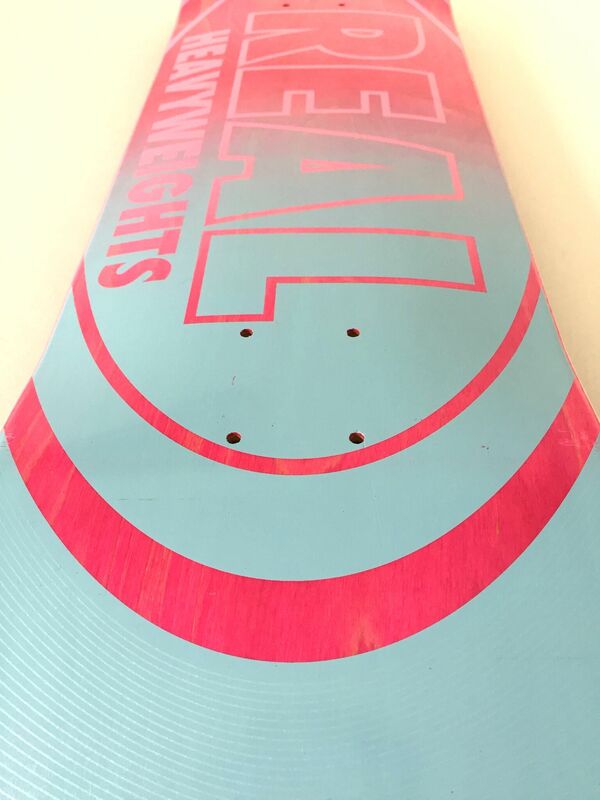 An advantage of the Heavyweights technology compared to normal decks is that the deck stays stiff for a much longer amount of time, which helps the board’s pop retain longer and inaccurate landings on nose or tail have no impact to the overall strength of the deck. In addition, the Heavyweights construction decks are lighter than regular decks. Usually a 7 ply wood deck weights about 1,350 kg the Heavyweights deck weights about 1,250 kg. The tendency to chip at the edges, however, can’t be decreased by the contraction inlay and happen to a Low Pro II deck as with any other deck. 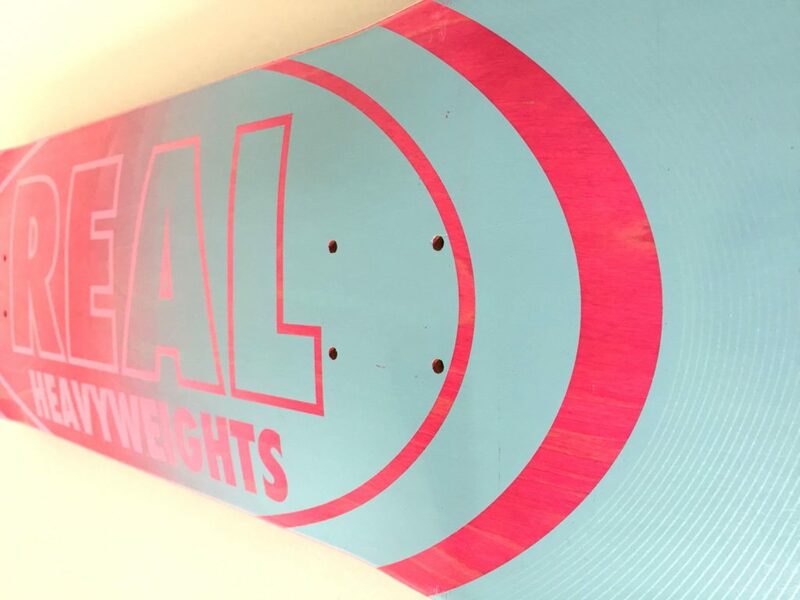 Real decks with the Heavyweights technology offer stiff pop due to their special layer construction. The decks do have better strength, however, the tendency to chip the deck at the edges still remains.